Model T Ford Forum: 1923 Low Radiator Apron????? 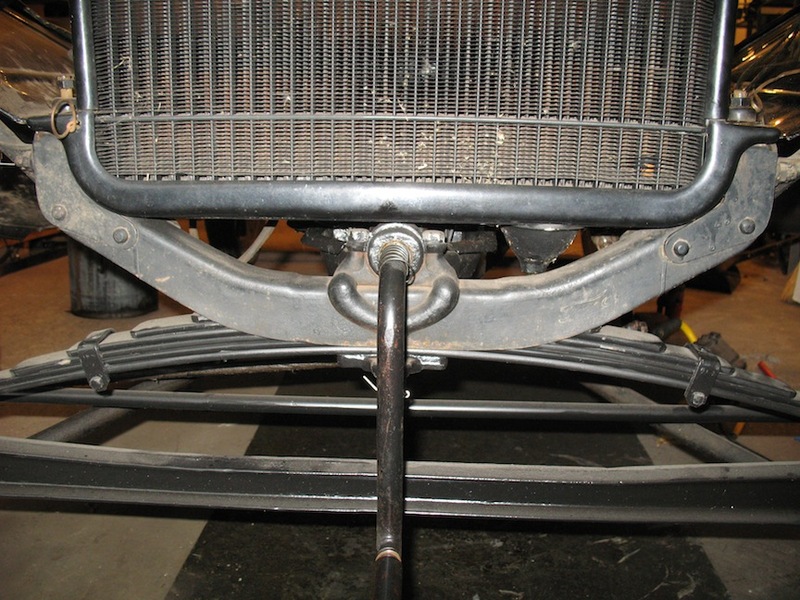 Model T Ford Forum: Forum 2018: 1923 Low Radiator Apron????? Does a 1923 low radiator have a radiator apron? Well yes it sorta does, there is the trim piece that goes across and cover just the lower part of the radiator. 1923. I don't call it an apron, because it doesn't have a hole with the crank through it. Are low radiator cars more desirable than the high radiator cars? I tend to like the look of the low radiator cars, myself. Though I have a high radiator car. What year/month was the cutoff (approximately)? Willis -- Most model years began 1 August of the previous calendar year. 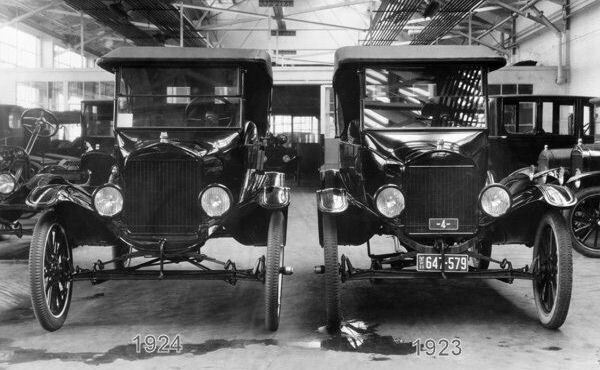 Ford began producing the 1924 model year cars (high radiator) in June of 1923, which was earlier than usual. That's why you hear some folks speak of "early '23" and "late '23" cars. The "late 23's" are actually '24 model year cars. Higher radiator. Outer shell now had a skirt at the bottom, over engine mount area. A little vague as to an exact date but I imagine, like so many other changes, it probably didn't happen all at once. Exact dates probably were a function of assembly location. RE the low radiator cars; While I have both (21 & 25) the 21 with it's straight up and down windshield still to me is a little more antique then the modern slant windshield. Thanks for the replies, I find it all very interesting! Mark, I know what you mean with the windshield. I like the flat windshield too. My T has the flat windshield being a Fordor. I can�t help but wonder if the low radiator cars are more saut after or that really doesn�t matter to people? I wanted an early Fordor and my �23 (�24) is what I found. I like the look of the 3 side windows. I had really contemplated a Centerdoor (�20) but, what killed it was the fact that they are difficult to get in & out! As my wife & I are getting older it has been becoming an issue especially for my wife as she is a little older than I. I really enjoy rides with her so, that was the deciding factor. Anyway, I like the look without the radiator �apron�.